The warmth and beauty of the Spring has finally arrived. 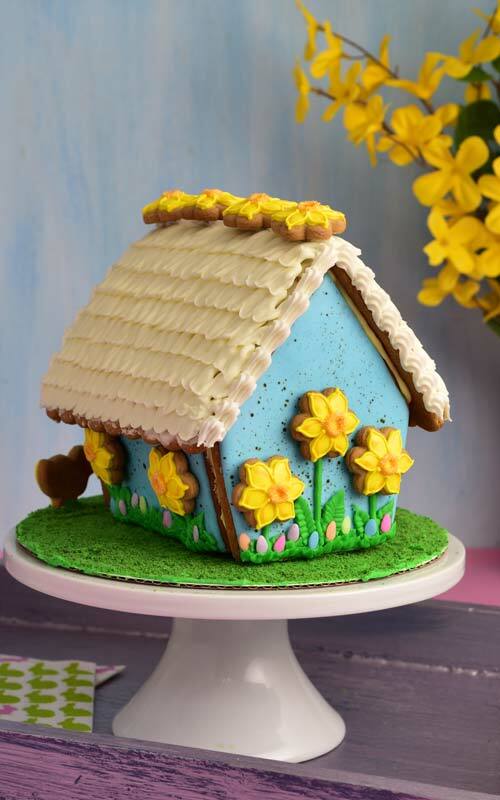 To celebrate I made a beautiful speckled Easter Gingerbread House. I’ve been dreaming of Spring for months and finally it’s here. It’s a been a long winter and I’m really looking forward to some change of scenery. Bright greens, yellow daffodils, birds chirping in the back yard. No more down jackets and winter boots. 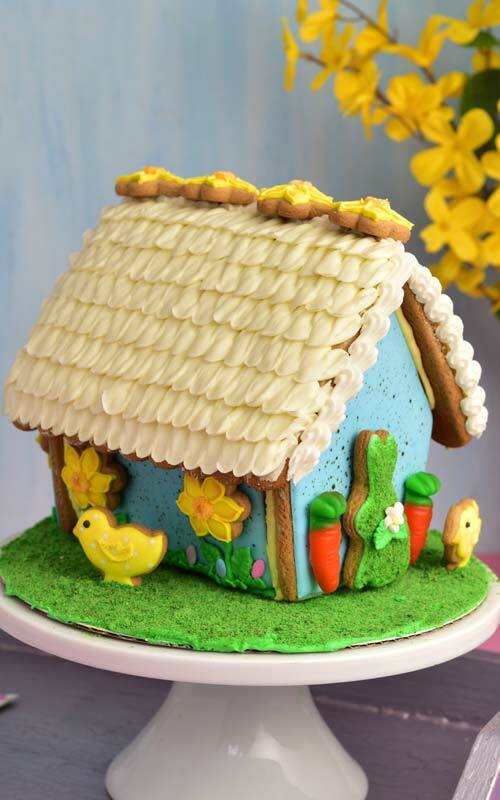 Easter Gingerbread House has been on my mind for quite some time. I haven’t made one before and I’m really thrilled to share it with you. I’m giving it to a friend next week. When making gingerbread houses I usually use my cookie dough for structures. It’s super sturdy and fragrant but I also don’t recommend it for eating. But for this project I decided to use Honey Cookies instead. Honey cookies are popular in Europe and among children and adults alike. Recipe contains very little fat, perfect amount of spices and honey. It works really well for projects like this. Of course, it doesn’t hurt that it tastes amazing. As I mentioned above to make the cookies I used my Honey Cookie Recipe (for this project I adjusted the amount of baking soda in the recipe to 1/4tsp) and Royal Icing to decorate. As far as the cutters go, I purchased these last year from Bobbi’s Cookie Cutters. And I’m so glad I did. It saves so much time on hand cutting. 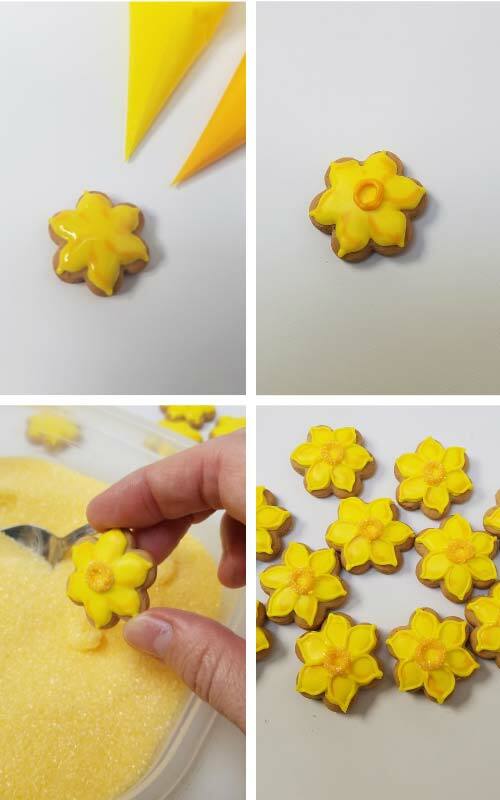 Mini Daffodils are made using 2 colors. Yellow and orange. 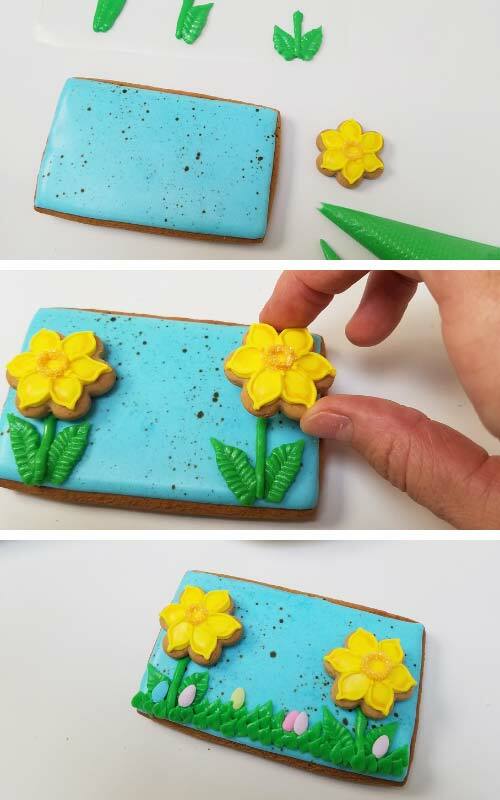 First I flooded the cookie with yellow and I also used little bit of orange and marbled it on the edge of of each petal. Then you need to let these dry. To make the trumpet I used piping consistency orange royal icing. I layered icing into cylinder like shape. Next, I dusted it with yellow sanding sugar. 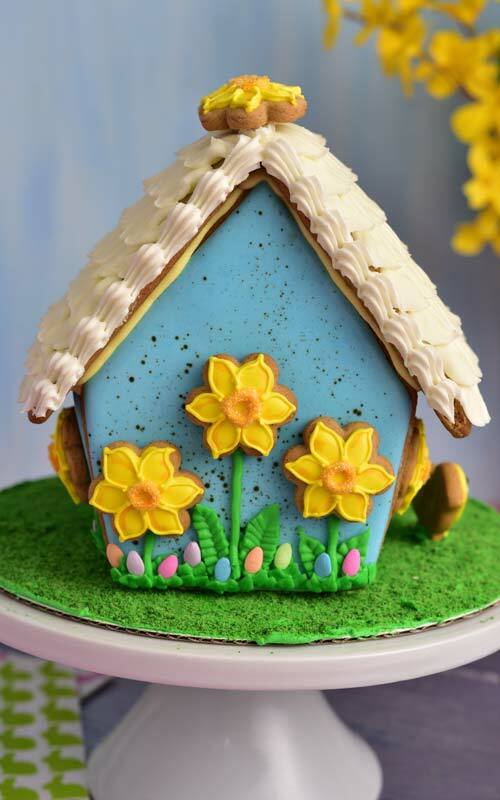 Lastly, I outlined each petal with yellow royal icing. Start by crushing Graham Crackers into a fine powder. Use a rolling pin or a coffee grinder. You can also sugar cookies, tea biscuits even ladyfingers will work, too. 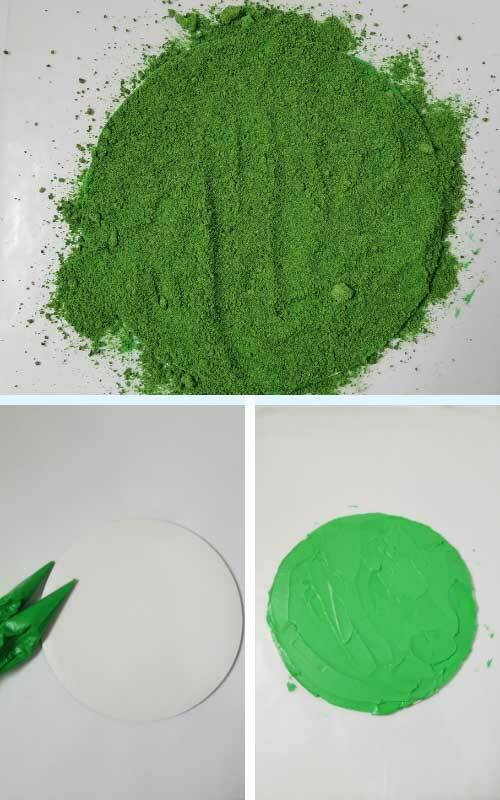 Then whisk food coloring into the water or alcohol. I used green leaf and lemon colors. 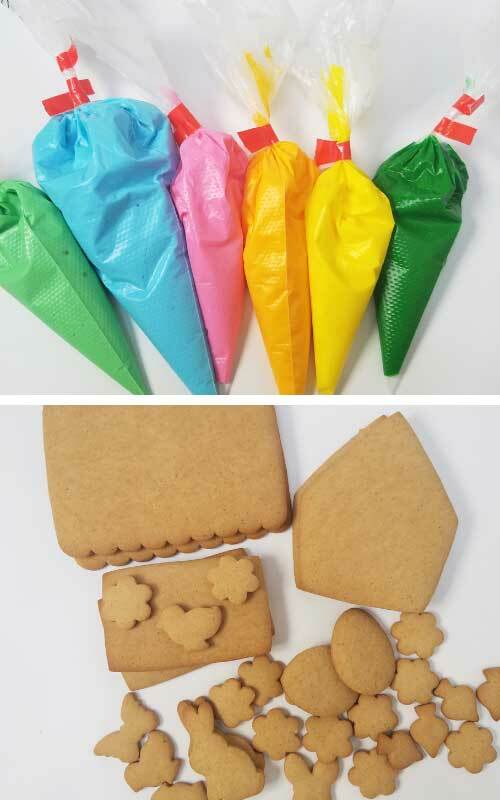 Pour colored liquid into the bag with dry crushed cookies. 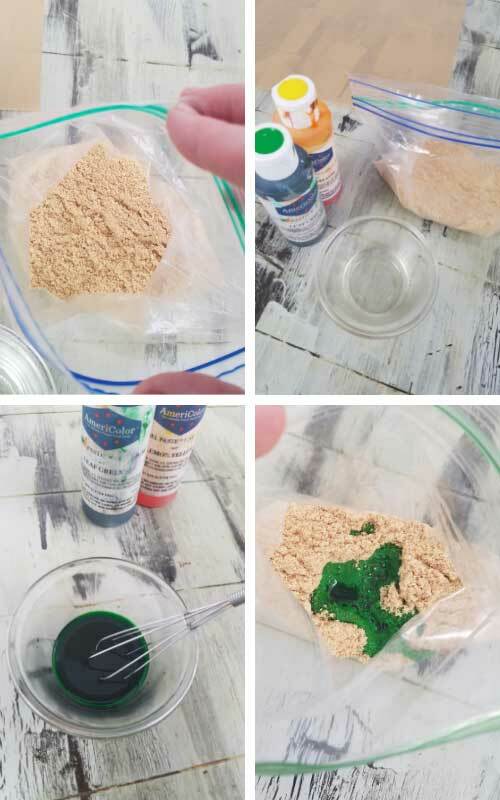 Mix the color into the dry cookie crumbs. Liquid will make the mixture clump up a bit. Spread the mixture onto a baking sheet and bake at the 180F for about 30 minutes or until dry. Then process in the coffee grinder, pulse few times and check the texture. 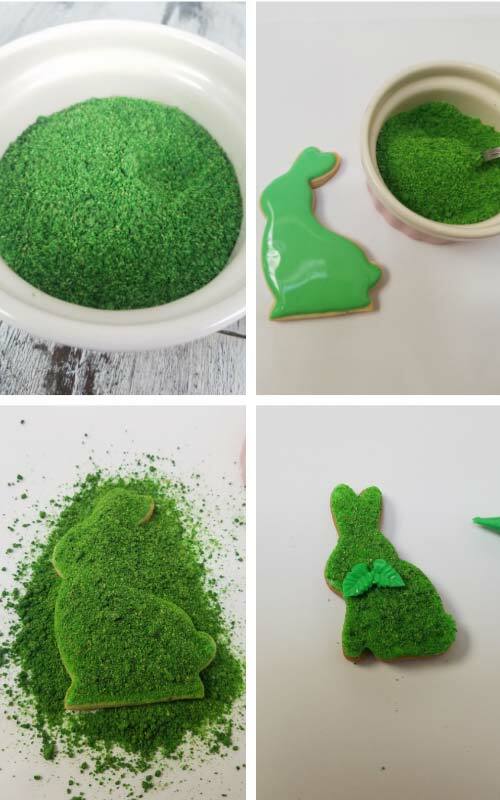 I used water and alcohol to make the Cookie Moss. Cookie moss made with water took a bit longer to dry in the oven. Other than that I haven’t noticed any other differences. Lumps will form, this is normal. Spread the mixture onto a baking sheet lined with parchment and bake at the 180F for about 30 minutes or until dry. 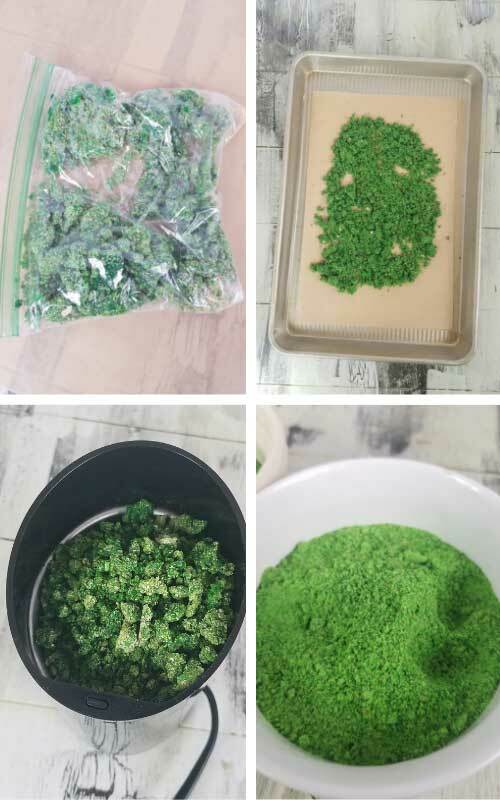 I used water and also alcohol to make the Cookie Moss. Cookie moss made with water took a bit longer to dry in the oven. Other than that I haven’t noticed any other differences. Cookie moss has been around for several years. 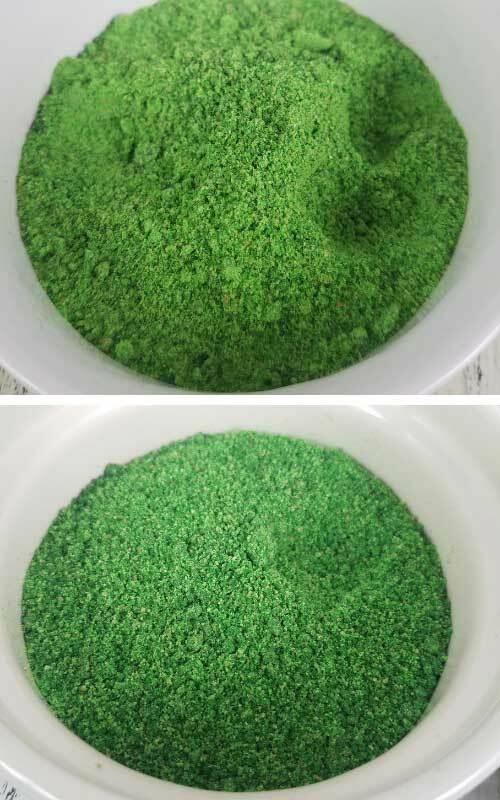 It’s really easy to make and adds a moss like texture to cookies, cakes and cake boards. It’s great for woodland inspired projects. Notice I flooded the bottom side of the house panels’ cookies. 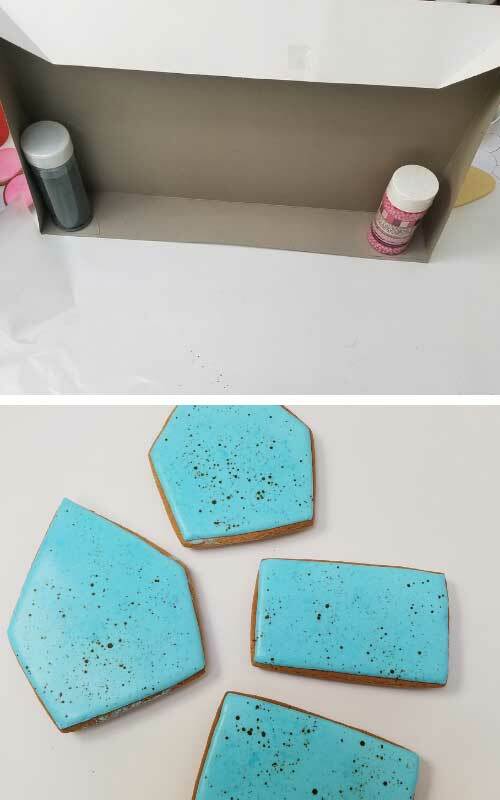 Honey cookies don’t bake completely flat. In fact they are very slightly domed. It’s very characteristic for this cookie. To make the decorating a bit easier, especially when icing larger cookies I decorate the flat side/bottom side of the cookies. Let the icing dry. 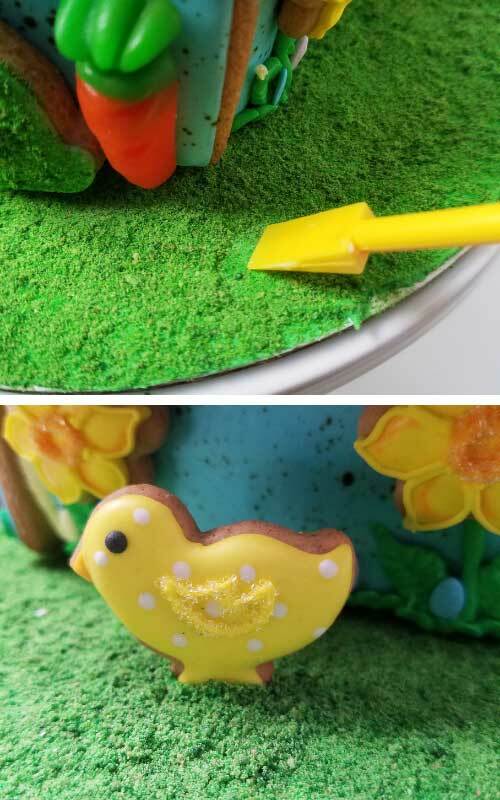 To make the chicks I used yellow, white and orange royal icing. With wet on wet technique I piped white polka dots into the yellow base, while yellow it was still wet. Then after it crusts you can add an orange beak. Let it dry and pipe the wing and dust it with yellow sanding sugar. Speckling technique is super easy and really fun, too. And just a tiny bit messy. Before you start, make sure to protect your surface and your hands. I covered my work area with a sheet of wax paper. And I also propped up top part of the gift box upright to act as splatter screen. To make the speckles I used brown food color mixed with lemon extract. Place the cookie on a wax paper in front of the splatter screen. Dip the food paint brush into the food paint. Remove access paint from the brush. Hold the paint brush above the iced cookie and aim at the cookie. Run a finger through the bristles and watch what happens. Repeat until you are happy with the design. Now it’s time to add all the decorations. 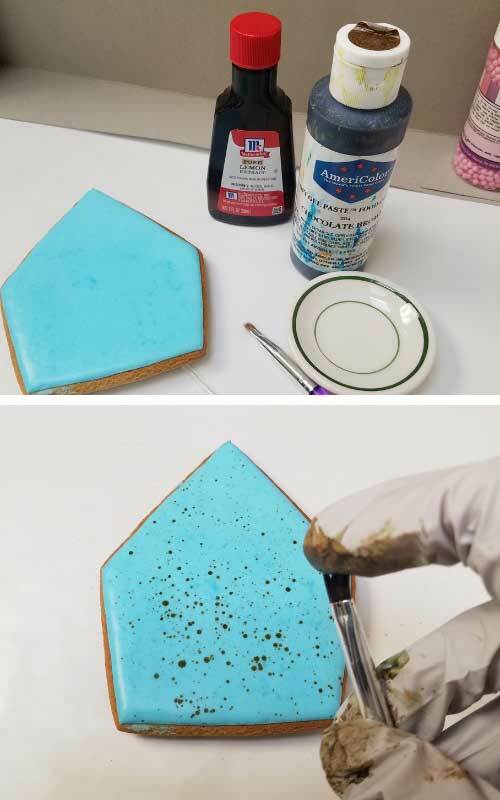 All you need is little bit of royal icing for the glue. Attach moss bunny and carrot gummy candies on each side of the bunny. Honestly, I was too lazy to make carrot cookies so I used carrot gummy candies instead. I got them at local Wegmans store at the bulk bin aisle. By all means if you if fancy cookies make the cookies. At the bottom of this post, there is a link to the cutter set that includes a mini carrot cutter. 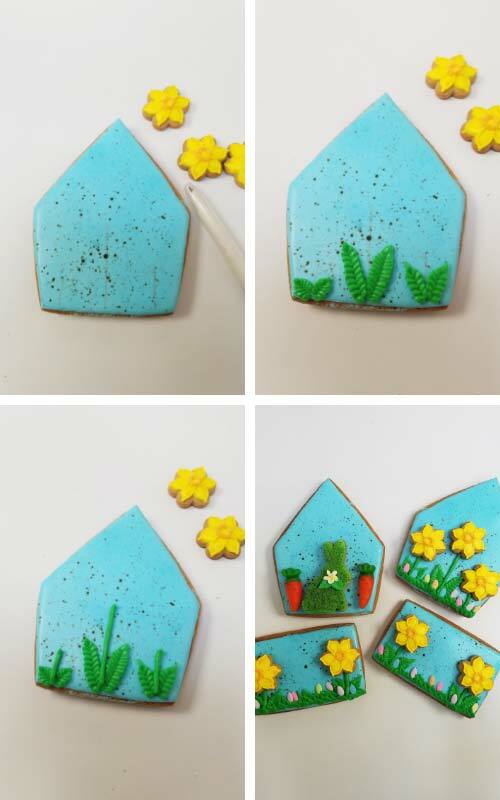 Use a green royal icing to make the stems and the leaves. If you are not sure how exactly to do this. You can watch the process in the video below. How to make a leaf tip? To make the leaf tip all you have to do is cut the end of the piping back into a small V shape. 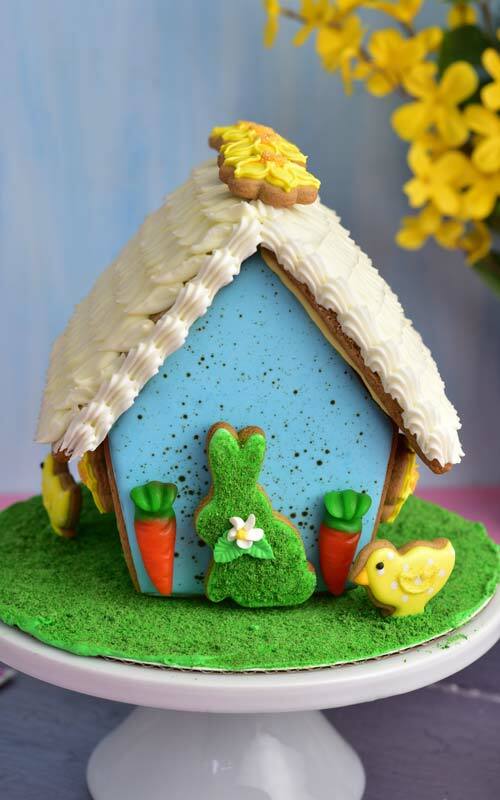 Do you remember Easter Sprinkles from my Easter Bunny Basket Cookies? I used some Easter Egg sprinkles from the blend and attached them onto the freshly iced grass. If you are not certain where to pipe the leaves use edible marker and draw the guides first. 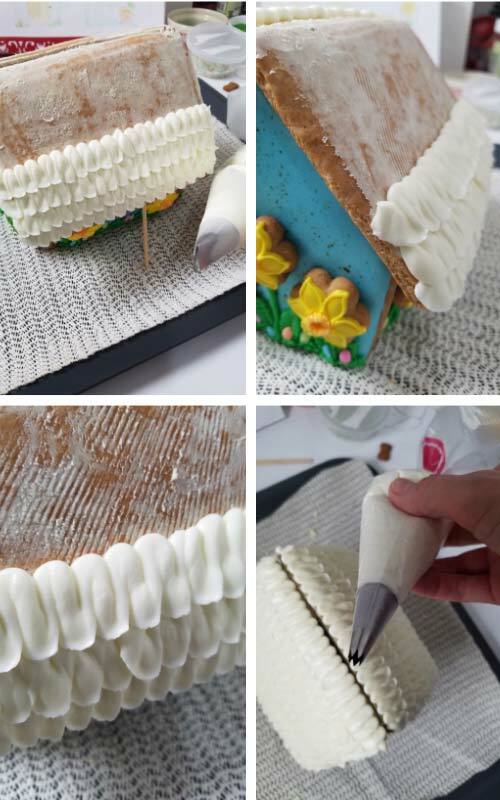 As always glue the bottom base first with stiff royal icing and let it dry at least for 4-5 hours. Then attach the roof panels. Support the roof in place with cut up bamboo sticks and let dry overnight. “Will I ever finish the roof ?” I asked myself as I picked up a long flat spatula and scrapped off yet another unsuccessful roof design. At last, 4th time’s the charm. Final design was piped with a Petal Tip #104. 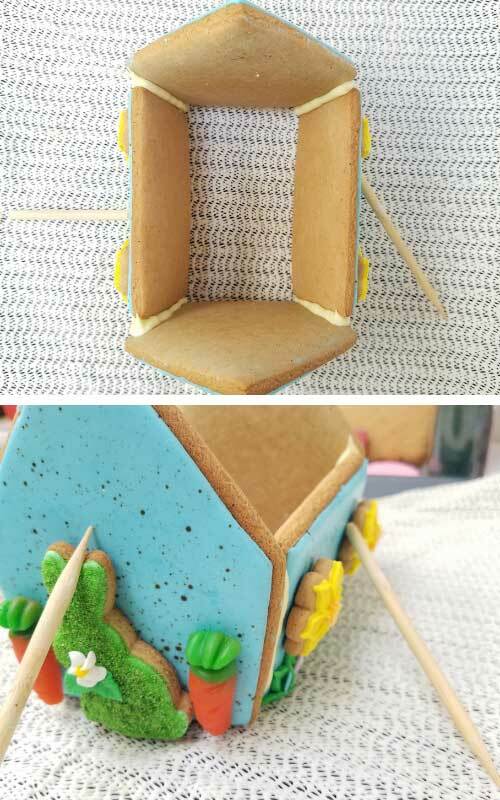 To embellish the front of the roof panels and also to cover up a gap between roof panels I used a Star Piping Tip. Cover cake board with thick green royal icing and dust with cookie moss. Shake off the excess and let dry overnight. 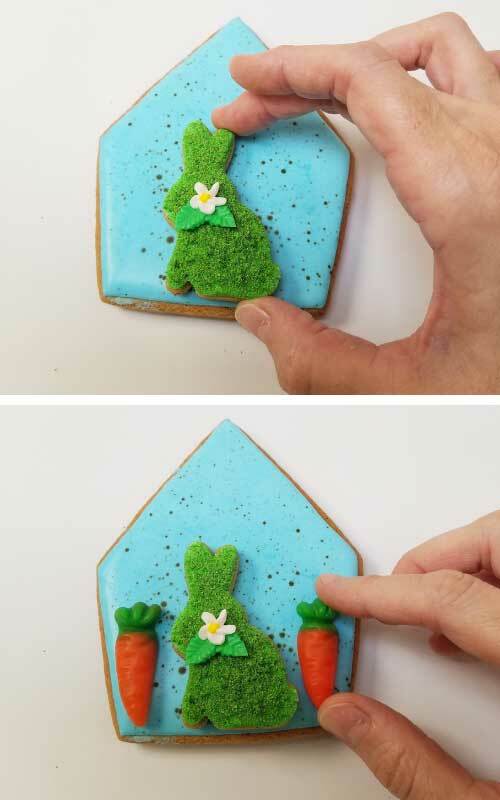 Use a cookie scraper to remove the moss layer, exposing royal icing layer. 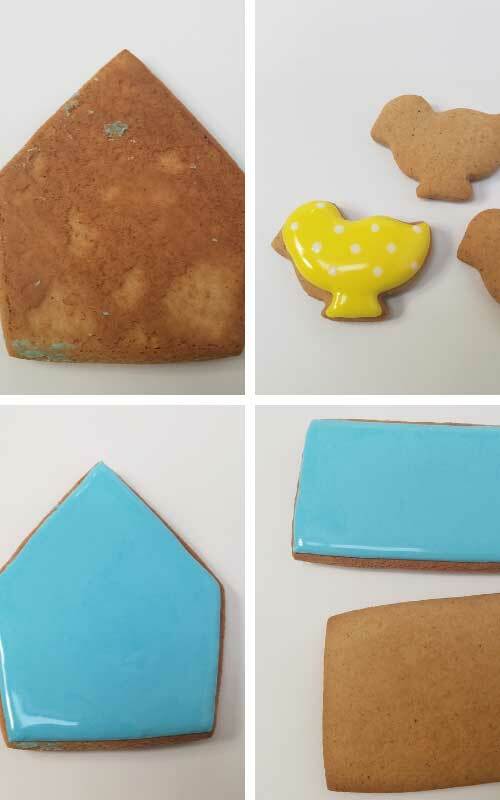 Attach Chick with thick royal icing onto this spot and then cover fresh royal icing with cookie moss. DAISY FLOWERS – daisy flower used on the moss bunny. Learn how to make the flowers – included in the video in my Birthday Cake Cookies post. This post contains affiliate link. Learn more about my affiliate policy here. Hi Karina, I used the one from the shop listed as 5inch size. Roof is 10.5cm by 14.5cm, side 10.3cm by 6.8cm, front 7.8cm by 12.5cm. 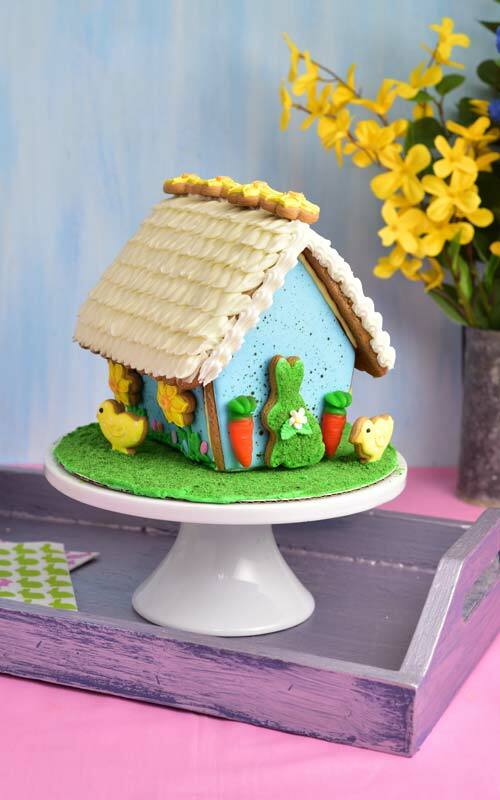 I would love to make this for my grandkids for Easter. What size cookie cutter house did you use for this project. There are 3 sizes to choose from. Hi Cheryl, yes sorry I forgot they have different sizes. One I got is option that says 5 inches. I really like this size, it’s not too big nor too small. Love the moss bunny…. my favorite are the daffodils! I think I’ll cover my board for the dinosaur cake with moss! Thanks for tutorial! Thank you so much June. I will work great for a dino cake.